In agricultural economics, one of the greatest weaknesses in mathematical programming models for the evaluation of agricultural processes is the calibration of the model in a base year. The reason for this is that it is extremely difficult, if not impossible, to introduce all the variables affecting farmers’ decisions in the models and thus obtain reliable results. This chapter presents a method for calibrating mathematical programming models using limited information. 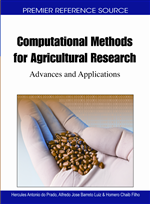 From the mathematical programming properties, by using the dual form of the original model, this methodology allows the model results to reproduce the situation existing in a baseline situation of the unit (farm, region) modelled. This method, called Positive Mathematical Programming, is currently being used in a great number of analyses of new agricultural policies. In this chapter it is applied to analyse the impact of recent measures of the European Common Agricultural Policy in Spain. Mathematical programming and in particular linear programming has been and continues to be a widely used technique in the context of agricultural economics. Despite this extensive use, however, considerable criticism has been levelled at linear programming – specifically, in obtaining solutions that accurately reflect reality, it is felt that certain – usually arbitrary – constraints must be included. One way of avoiding this problem is to use PMP as devised by Howit (1995). Briefly, by estimating the coefficients of the objective function for a non-linear programming model, this technique can calibrate the model so that it reproduces the situation existing in a base year for the unit modelled (farm or region). The calibration method proposed by Howit was subsequently enhanced by including entropy maximization in the procedure (Paris and Howit, 1998). The suitability of PMP for formulating and evaluating the Common Agricultural Policy (CAP) has been a driver for further development of this technique, as can be seen in the recent revisions by Heckelei and Britz (2005) and Henry de Frahan et al.(2007). Variations designed to correct some of the shortcomings of the Howit and Paris calibration procedure have also been proposed. Such variations have been published, among others, by the following: Judez et al. (1998, 2001b) propose to perform calibration without running the first stage of PMP; Gohin and Chantreuil (1999) introduce a procedure for processing marginal activities; Helming et al. (2001) include supply elasticities obtained exogenously to calibrate the objective function coefficients; Röhm and Dabber (2003) propose a method for linking different variants of the same crop; and more recently Severini and Cortignani (2008) and Júdez et al (2008) suggest procedures for including activities in PMP that are not present in the base year. In addition to these proposals in which calibration is achieved for each unit modelled with the data for a single year, in Heckelei and Wolf (2003) and in Buysse et al. (2007) calibration is replaced with econometric estimation procedures using datasets.